Israel Seems To Be Outfitting Her Tanks With Scalar Tesla Dome Shields! 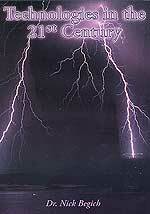 Title: Israel Seems To Be Outfitting Her Tanks With Scalar Tesla Dome Shields! Subtitle: Did Israel send her tanks into Lebanon without the available scalar shields because they underestimated the capability of the Hezbollah enemy? No matter, for these tanks are now back inside Israel being outfitted with Scalar Tesla Dome Shields which will protect the tanks from those very effective Russian-made anti-tank missiles and hand-operated projectiles. When Cutting Edge broke our articles on Russian and Israeli Scalar Weaponry in mid-2004, many people were very skeptical. They found it hard to believe that this fantastic weaponry could actually exist, while others found it hard to believe that America's capability in electromagnetic wave weaponry was decidedly inferior to the Russian capability. This latter group had accepted the propaganda notion that American technology was superior to that of the Russians in every category, across the board; therefore, to even suggest that the Russians were technologically superior to the Americans was to invite rank disbelief. However, the video we are about to show you, plus the key illustrations from this video, confirms key elements of our articles of two years ago. Mass Media has been telling us for over a decade that the United States of America was the world's only superpower, now that the U.S.S.R. has disbanded. We have seen many articles bragging about all the new weapons we might use against our enemies, some weapons not even in existence on 9/11, 2001. In this article, we shall speak of one such weapons system: Scalar weapons technology. We shall take much of our information from Lt. Colonel Thomas E. Bearden, writing in his book, "Oblivion". This Tesla Dome Shield is absolutely the most powerful defensive weaponry of which I have ever heard! If Bush deploys our naval ships, our aircraft, and our armies without a workable Tesla Dome, all our our forces could be 'bottled up' defensively so they could not attack the enemy as we think they are going to do! If any aircraft, for example, were to attempt to fly out of the Tesla Dome, they would explode and be destroyed. Further, if Russia were to erect a Tesla Dome over Tehran, Iran, for example, none of our weapons could touch the city! We cannot discount this possibility. You can see that any weapons system today must move under the protection of a Tesla Dome Shield. In other words, the Dome must always march overhead and around the naval ships, the aircraft, and the armies moving toward their destination. As you can imagine from this artist's recreation, a Dome Shield can be made to continuously move with the aircraft, at the speed of the aircraft, so it will always surround the plane. 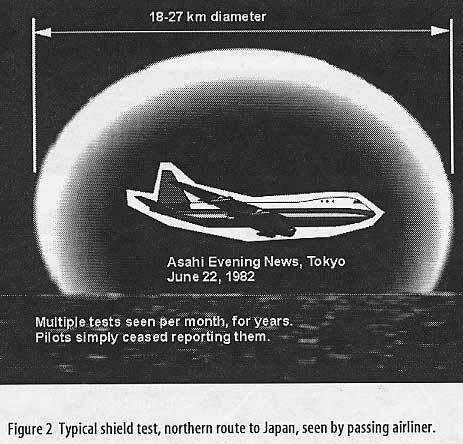 This recreation was seen by pilots of another commercial aircraft and reported to the Ashai Evening News, Tokyo, 6/22/1982. Notice how old this technology is to the Russians! And, what about our scalar weaponry: "Our scalar weaponry is not yet ready to deploy effectively". 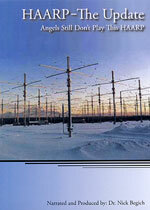 No, we are still working with HAARP, a much weaker system. 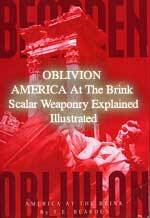 LTC Bearden, writing in "Fer de Lance" and his updated book, "Oblivion", states repeatedly that Russia, Israel and China are the three major nations which deploy exceedingly advanced scalar weapons systems. 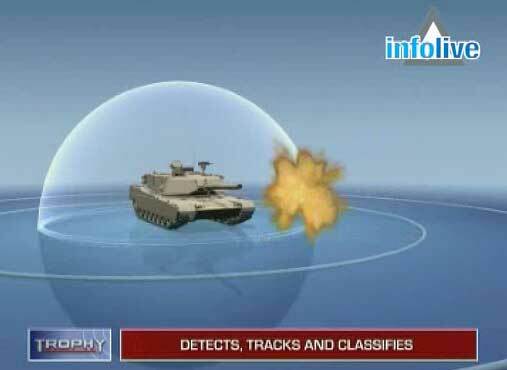 You are about to see a "info-mercial" about an advanced Israeli scalar defensive system which has been developed for tanks and other armored vehicles In fact, this video states that this defensive system has been developed for numerous military platforms. This weapons system is described as being "kinetic" which is another name for the 'extended-electromagnetics' (energetics) weapons", a term for Scalar Weapons used, above, by Bearden. As you can see from this picture taken from the video, a tank is completely enveloped by an active protection shield. As a missile or other threatening projectile begins to travel toward the tank from any direction, the scalar shield is instantly activated all around the tank, with surprising height over the top of the tank. As the projectile travels rapidly toward the tank, this broad shield deploys. As soon as the missile hits the shield, it is destroyed. 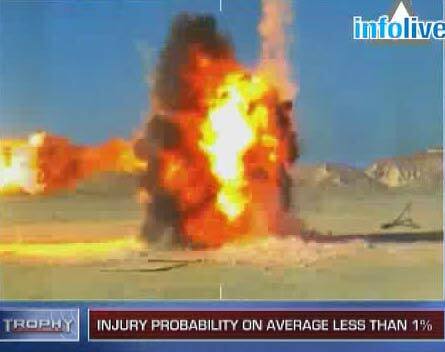 This particular animation shows the moment the missile hits the tank, dissolving it into harmless pieces of metal. Then, as soon as the tank's radar stops sensing any incoming projectile, the Dome vanishes so the tank can fire outward toward the enemy. This system also does not depend upon accuaretly hitting the projectile, as the shield completely destroys the projectile at any point where contact is made. As you see the video, notice this reality, for both the Scalar and the HAARP electromagnetic weapons systems can instantly throw up a continent-wide missile barrier over the United States. 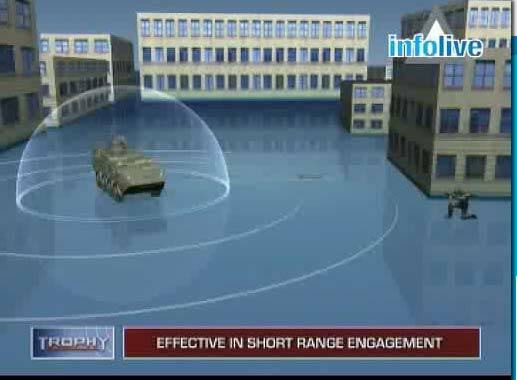 Although much larger than this tank system, the continent-wide system acts in the same manner as the tank protection system highlighted in this video. No North Korean missiles could penetrate this shield. 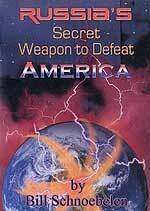 However, the Illuminati Plan calls for a nuclear confrontation on the Korean Peninsual at the end of the preparatory period just before the Masonic Christ arises. Obviously, every person who understands this electromagnetic weapons capability will recognize the propaganda coming from our government and military leaders when the North Koreans start acting out their role in the planned World War III. To keep the majority of the public ignorant of the true capabilities our military possesses in erecting a shield over this country, we are treated to the spectacle of the "Star Wars" system of hitting a missile with a missile, equivalent to hitting a bullet with a bullet. And, we are told that this anti-missile system is not really workable, and would break down badly in a war environment in which dozens of missiles are coming at once, which are aimed at different geographical locations and which are equipped with defensive countermeasures designed to defeat our radar. No American citizen is told of this fabulous HAARP capability of erecting a 100% effective Tesla Dome shield over this country. In fact, during the time when North Korea's staged and scripted nuclear crisis role in the World War III begins to be enacted, our leaders will undoubtedly, deliberately not use the HAARP Dome. Confusion and panic is the goal and that would not set in amidst the people if they were completely protected by this Dome. You see, Skull & Bones leadership of this country is not interested in the well-being of American citizens; rather, they are interested only in fulfilling the Illuminati Plan for a Third World War designed to produce the Masonic Christ on the world scene. You must understand this fact thoroughly, allowing it to completely settle in your mind, heart, and spirit. Then, you will not be deceived any longer by either events or leaders of the day. This animation shows an enemy soldier firing an anti-tank missile from his shoulder. While this setting is clearly in an urban environment, this type of threat to a tank is exactly what occurred numerous times during the Israeli invasion of Lebanon. Time and time again, Hezbollah fighters equipped with this type of shoulder-fired anti-tank missile destroyed an IDF tank, killing or wounding most or all of the crew members. But, when the tank is equipped with this Trophy Tesla Dome Shield, not one of those anti-tank missiles would have hit their target. Furthermore, this video states that soldiers around the tank do not suffer casualties when the missile explodes upon making contact with the invisible Tesla Shield. This sounds incredible, even unbelievable, because the projectile does seemingly blow up violently. Nevertheless, that is the claim made on the video. 1) Israel underestimated the anti-tank capability of Hezbollah. News stories seem to indicate that IDF Intelligence did not properly understand the degree to which Syria and Iran had shipped these advanced Russian anti-tank weapons to Hezbollah. 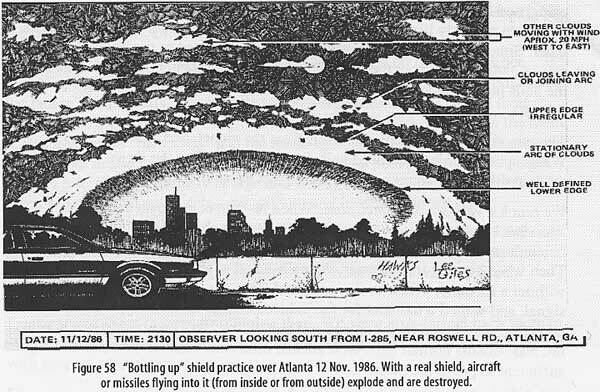 2) Israel did not want to show off her Scalar Shield capability at this time. I believe both these reasons may be valid. This picture demonstrates how an invisible Tesla Dome Shield can be erected anywhere on an open battlefield. This animation is caught at the moment a missile hits the invisible Tesla Dome. As you can see from this picture, there is nothing else visible anywhere around this explosion. And, as you will see when view the entire video, the missile is clearly coming over empty terrain. When Israel erects an invisible Shield over a battlefield, no enemy fire of any sort can penetrate -- not bullets, missiles, or artillery rounds. However, for Israel to fire at the enemy, the Shield must come down; therefore, in the heat of the battle, the Shield must precisely go up and come down rapidly many, many times. Now that you understand the capability of Israel's tanks, you can appreciate the Jerusalem Post story last week which said that all Israel's tanks were being "fitted" with systems which will make them more immune to enemy anti-tank fire. In the next war, Israel may not lose even one tank. But, in the meantime, too many Arabs believe they have met the true IDF on the battlefield, have fought them to a standstill, and now having nothing more to fear. That miscalculation may lead to entire Arab armies being annihilated.